The Retired Racehorse Project (RRP) announced this week that Dr. Carolyn Karlson, Ph. D. has been elected as chair of the Retired Racehorse Project’s board of directors and Sue Smith has been elected vice chair. Also elected to the board were Graham and Anita Motion. A resident of Saratoga, New York, Karlson is a longtime racehorse owner, owning horses both in partnership with Bourbon Lane Stable and independently. She is the founder and owner of Starting Gate College Consulting, which helps students and their families navigate the college application and transition process. Karlson is also the past director of the Hillman Entrepreneur’s Program at the University of Maryland and is a current Trustee of the University. She previously served as vice chair of the RRP board and has been a board member since 2012. A lifelong horseman, Pittman launched RRP in 2010 with a goal of bringing the Thoroughbred back to prominence in the equestrian world, while at the same time serving the racing industry by giving Thoroughbreds increased value after the conclusion of their racetrack careers. After serving as the organization’s president and executive director for eight years, Pittman stepped down as executive director in 2018 and soon after embarked on his first foray into politics, launching a political campaign to run for County Executive of Anne Arundel County in Maryland. After winning the election in November 2018, Pittman announced the conclusion of his tenure as board chair. He will continue to be involved with the organization as a board member and in an advisory role. Stepping into the role of vice chair of the RRP Board of Directors is Sue Smith. A graduate of Mount Holyoke, Smith is the Executive Director for CANTER Pennsylvania and has a professional background in commercial and industrial real estate. She has been an RRP board member since 2015. Grade 1-winning trainer Graham Motion and his wife, Anita, were also voted in as board members and will begin serving their term in 2019. In addition to operating their Herringswell Stables, the Motions are passionate advocates for Thoroughbred aftercare, serving on the boards of Thoroughbred Charities of America, Thoroughbred Aftercare Alliance, Thoroughbred Education Research Foundation, National Museum of Racing and others. 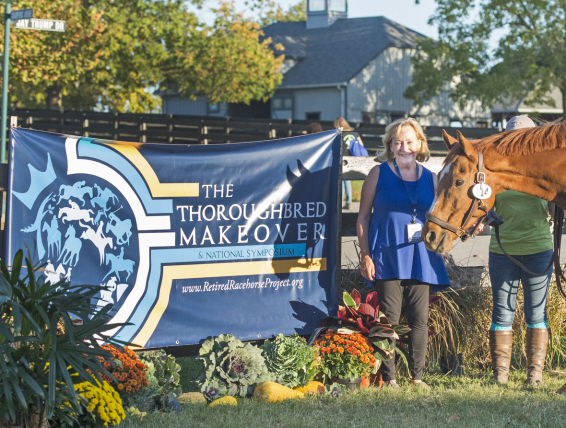 Retired Racehorse Project (RRP) is a 501(c)3 charitable organization working to increase demand for off-track Thoroughbreds and build the bridges to second careers. It publishes Off-Track Thoroughbred Magazine, hosts the Thoroughbred Makeover and National Symposium, maintains the Retired Racehorse Resource Directory, manages the online Thoroughbred Sport Tracker, and presents programs at major horse expos across the country. 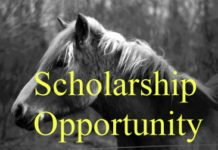 Visit RRP online at RetiredRacehorseProject.org.